just a broke college girl. 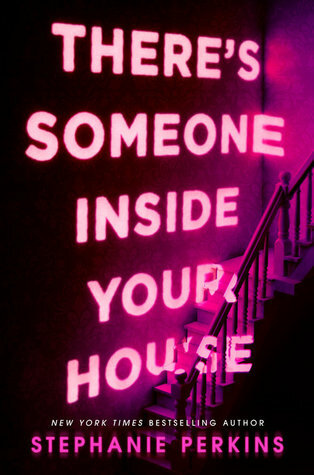 On the note of already seeing the movie (which I also recommend), it was intriguing to see how the directors adapted the IM, texting, and illustrations from the book to the big screen. The illustrations really allow the reader to get into the head of Maddy, the protagonist, by seeing the world how she sees it. They also break up the text in ways that make the reading very fast. Overall, I give it a 5/5. I did not even make it 100 pages into this book. I tried, really I did. There were entire passages of description that could have been taken out. The book could have been much shorter if, rather than describe every unimportant detail, Miller had just gotten to the point. I get it, show don’t tell, but readers do not need to see every detail. I’m truly disappointed because I had such high hopes for this book and it let me down. It was too slow paced and I really just couldn’t get into it. I give it a 1/5 star rating. Artemis is one of the best books I’ve read in a long time. I borrowed the copy I read but you can bet that I am going to buy myself one. Yeah, it was that good. (5/5 stars.) At one point, I even dreamed that I lived in the city on the moon. One thing that I really loved about the book was the writing style. This is the first I’ve read any of Andy Weir’s work, so I didn’t know anything about his style going in. In Artemis, the style is very realistic, it’s practically stream of consciousness. It seemed as if the protagonist, Jazz, was having a conversation with the reader, or giving a confession. At times, the fourth wall was broken to actually address the reader. It worked very well for Jazz and her personality. I think that it was the best way to go about the setting, as well. Very few people have ever been to the moon. The way that Jazz interacts with the reader, and how realistically the story was written, make it much easier for the readers to understand how life in Artemis and life on the moon (yes, they’re different, a city has politics and the moon has different gravity) work. 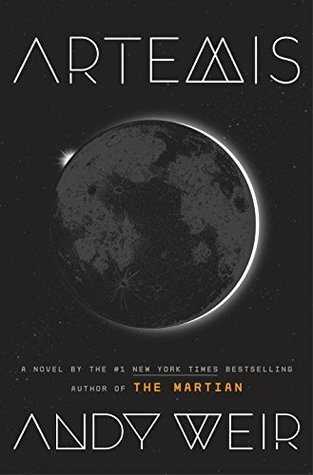 Something that was obvious from the get-go was how much research Andy Weir put into this book. Or, he’s really good at making things up. There was a lot of chemistry and math, a lot of information about welding and physics and aerodynamics. It blew me away how tediously he researched everything. I learned a lot about gravity and space travel. The novel didn’t seem too information heavy, either, which is usually hard to do given how much explaining is needed for the general population to understand not only the basics of how Artemis works as a city, but how Jazz functions in her day to day life and how she completes her mission that compels the rest of the story. I also enjoyed how diverse the story was. Jazz is Saudia Arabian, all of Artemis is possible because of Kenya, the aluminum is made on the moon by a Brazillian company. Honestly, I think the only recurring white character is Rudy, and he’s a rude Canadian (a character type that we don’t usually see…I’m talking about Canadians, not rude Canadians). It was very refreshing to read a book where the protagonists aren’t white Americans in a post-apocalyptic world or a John Green novel. There was one thing that did confuse me while reading, though. Sporadically, throughout chapters, there were emails between Jazz and a character named Kelvin. This isn’t much of a spoiler, but if you don’t want to know anything AT ALL about the book, then skip this paragraph. These emails start off in the past to help establish Jazz and Kelvin’s relationship, as well as help explain how Jazz ended up where she is at the start of the novel. While reading, I thought that the emails were in real-time, which confused me because the events that Jazz relayed to Kelvin didn’t add up. If the emails had been time-stamped or said that they started 9 to 10 years previously, it would have cleared up the confusion that I had. I didn’t realize that the emails were taking place in the past until they caught up with the present, over halfway through the book. The reason that I wanted to read Artemis is because Artemis is my favorite Greek goddess, so there is really no connection between the two other than the name of the city. Though this wasn’t a story about Greek heroes, I was not let down at all. This book gave me a rollercoaster of a ride and a rollercoaster of emotions. I recommend you pick up a copy. Artemis is a book that I’ve wanted to read since it came out. I originally wanted to read it because Artemis is my favorite Greek goddess…I actually had no idea what the book was about. If you also don’t know what this book is about, I’ll leave the synopsis below. This is the first I will be reading anything by Andy Weir, so I’m excited to see how I like it. The Dark Prophecy is a book that I’ve been dying to read since I finished the first of the series. I am waiting to buy the book when it comes out in paperback so it matches the first one (which I bought in paperback), so I checked it out the hardcover from the library. I have always loved Rick Riordan’s writing since I started the Percy Jackson series when I was twelve. I’m excited to see where the story goes an how everything ties together because it’s obvious how much thought that Riordan has put into his series. Read the synopsis below. The second book in the latest series from Percy Jackson creator Rick Riordan. 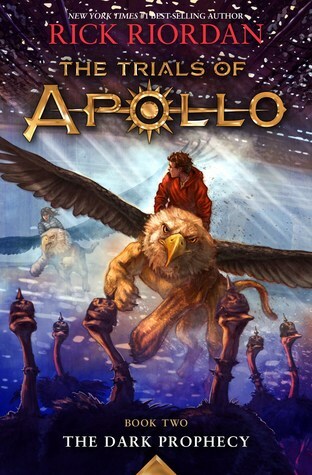 The god Apollo, stuck in the body of a teenage boy, must undergo the second of his trials to regain his immortality. 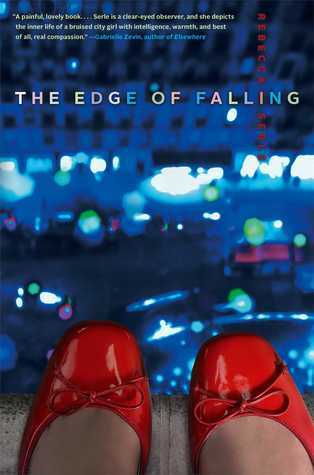 I got The Edge of Falling from the library because they didn’t have the book by Rebecca Serle that I wanted (it’s down further on the list). I read the inside flap of the hardcover and the plot seems interesting, so I checked it out. I have previously read Serle’s Famous in Love so I know that I like her style. Growing up in privileged, Manhattan social circles, Caggie’s life should be perfect, and it almost was until the day that her younger sister drowned when Caggie was supposed to be watching her. 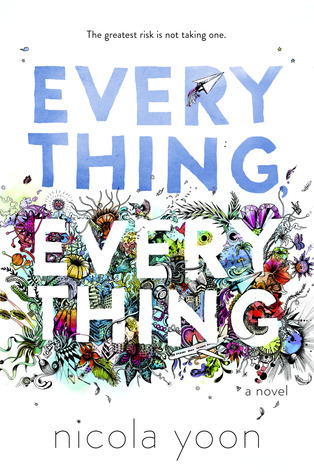 Stricken by grief, Caggie pulls away from her friends and family, only to have everyone misinterpret a crucial moment when she supposedly saves a fellow classmate from suicide. Now she’s famous for something she didn’t do and everyone lauds her as a hero. But inside she still blames herself for the death of her sister and continues to pull away from everything in her life, best friend and perfect boyfriend included. Then Caggie meets Astor, the new boy at school, about whom rumors are swirling and known facts are few. In Astor she finds someone who just might understand her pain, because he has an inner pain of his own. But the more Caggie pulls away from her former life to be with Astor, the more she realizes that his pain might be darker, and deeper, than anything she’s ever felt. His pain might be enough to end his life…and Caggie’s as well. This one is also a book that I’ve wanted to read for a very long time, since it came out, actually. I just have never gotten to read it. The main reason that I checked it out from the library is that its sequel is coming out this month (Cerce). 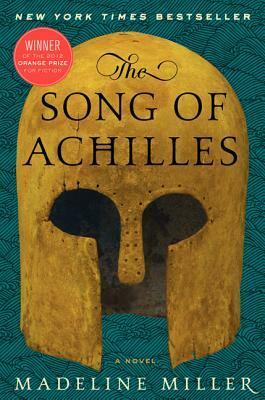 I want to read this one mainly because of the Greek mythology that has been interesting to me since I started reading the Percy Jackson series when I was younger. 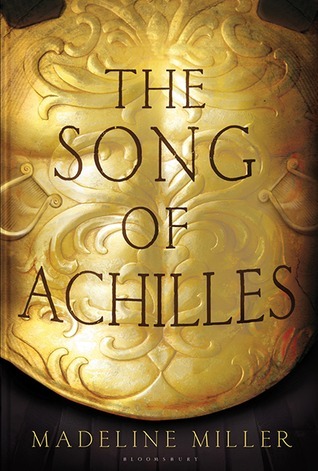 I’ve never read anything by Madeline Miller, so I’m excited to see if I enjoy this story. I’m reading this book for class. I think that’s all I think I need to say. But it’s actually a pretty good read. If you’re interested in writing scripts, I’d suggest picking this book up. This is the book that I was originally planning on checking out from the library. 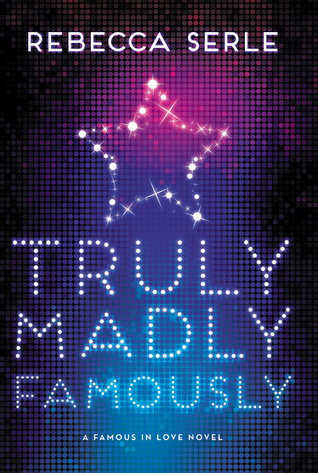 After reading its prequel, Famous in Love, I needed to read the second one. Last summer I binge watched Famous in Love on FreeForm. Sadly, the only thing the show has in common with the book is the names of the characters. Both the book and the show ended with giant, and drastically different, cliffhangers. I did not want to confuse the plot lines of the two, and with the season premiere of the show last week, I need to know what happens in the second book. After being plucked from obscurity, Hollywood’s newest starlet, Paige Townsen, has a hit film to her name and Rainer Devon on her arm. But being half of the world’s most famous couple comes with a price. No matter where Paige goes, someone is always watching. Soon she finds herself dodging photographers; hiding her feelings for her other costar, Jordan Wilder; and navigating tabloid scandals that threaten to tear her and Rainer apart—and end her career as quickly as it began. As she navigates her new L.A. life in this sequel to Famous in Love, Paige finds that she doesn’t know who to trust: Old friends could be betraying her secrets, and new friends are keeping secrets of their own. Once again, this is a book that I have wanted to read for a long time and I finally broke down and bought it. 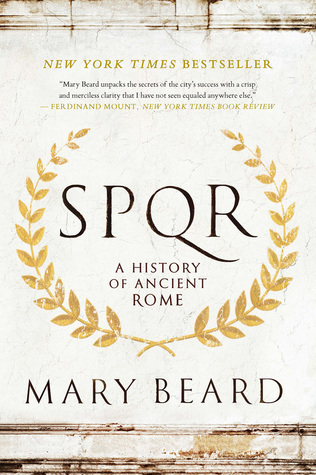 I have never read anything by Mary Beard and I am actually excited to learn a thing or two while I read this. So, in order to get free shipping for my order on ThriftBooks, I had to spend at least $10, the synopsis for this seemed pretty interesting so I just added it to my cart. I don’t think I’ve ever read Siobhan Vivian’s work, so I am excited to see how I like her work. An intense look at the rules of high school attraction – and the price that’s paid for them. Now, with final exams, portfolios and projects coming up, and the fact that I have to pack up and move back home, I’m not sure if I will be able to read all of these books within the month of April. I borrowed Artemis from a friend a couple of weeks ago and really want to give it back to him soon, so that’s the first one I will be reading. And I checked out the three from the library, so I have to finish those before I turn them back in. 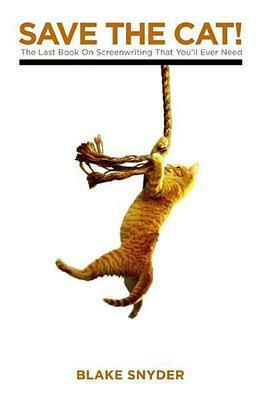 Obviously, I will finish Save the Cat for class. But the rest of the books I’m okay with not finishing before the end of the month. What books are you guys reading this month? When I was reading, the story felt very well paced, it wasn’t rushed and it didn’t try to build up for too long. Yet, when I got to the end, I feel like there were a number of problems that went unresolved. I want to know what happened to the town and the people impacted by the murders. I want to know how the protagonist grows and moves on. I want to know how her relationship with her parents evolves. There are so many things that I want to know, but never will. The book just ends too abruptly for me. It’s a satisfying ending, but there are so many things that could have been explained. Overall, I gave it a three out of five stars.